1. My kids like something called hodamath.com. They are learning, but it’s fun. They enjoy the escape games in particular. Kids navigate a series of rooms (occasionally using math) to solve puzzles. Even Bert has gotten sucked into it with them a time or two. Kids + Math = I’m okay with that screen time. 4. 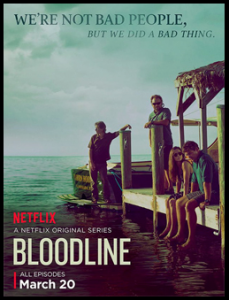 We watched Bloodline on Netflix per my sister Amy’s recommendation. It started slow, but we really liked it by the end. Great acting and cinematography. It was very suspenseful as the story unfolded through a series of flashbacks. 5. Our new favorite board game is Sequence. It’s fun. I was really frustrated at first because I couldn’t win. Now I am better at it and really enjoy it. The kids like it, too. You try to get 2 sets of five in a row, playing a token according to the seven cards in your hand with each player taking turns. You have to get your sequence while blocking your opponent. What did you guys learn this week?